Join us as we officially kick off our partnership with Le Creuset! We’ll be celebrating with some tasty hands-on demos in the store, as well as some gifts with purchase. • Receive a free Le Creuset cookbook with a $150 Le Creuset purchase. We are very excited to introduce the iconic Le Creuset line to our Rockridge store! You’ll find cookware in the rich, trendsetting kitchen hues Le Creuset is known for, including the legendary flame-colored Dutch oven immortalized by Julia Child. Le Creuset cookware has earned a special place in the lives and memories of cooks around the world. 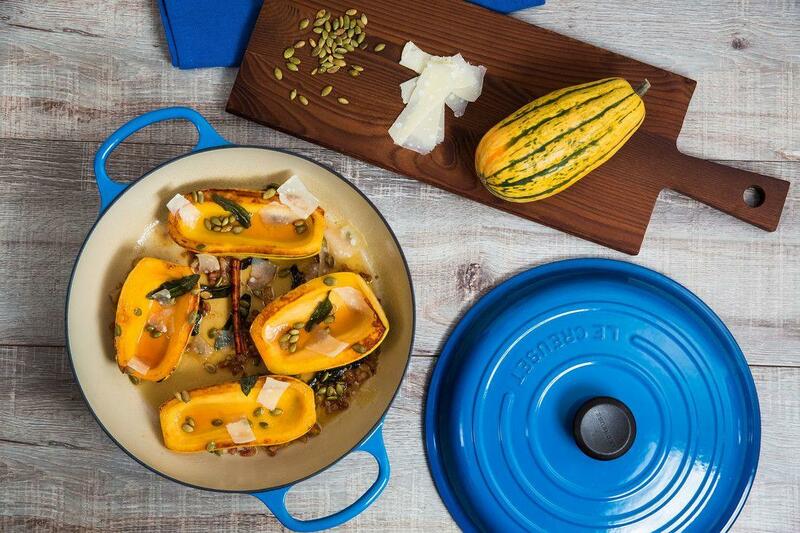 Since those early days, modern cuisine has continued to evolve, and so has Le Creuset. their original enameled cast-iron cookware to stoneware, stainless, silicone, and more, Le Creuset has grown to offer products across a range of materials and categories that guarantees the right tool for the right job. wedding or housewarming gift, or an heirloom for the next generation of cooks in your family.